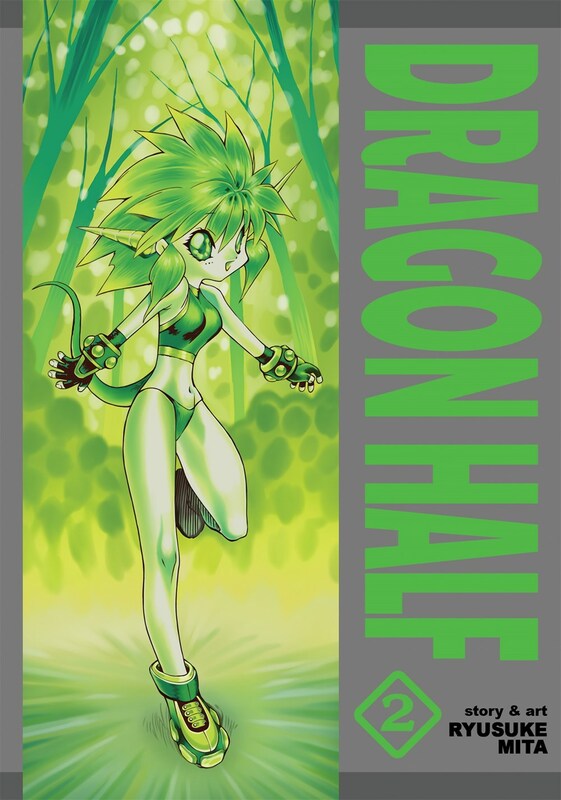 Dragon Half Omnibus volume 2 features story and art by Ryusuke Mita. Mink and company continue the mother of all fetch quests: they’ll defeat the Demon Lord Azetodeth, not to save the world, but so Mink can get a date! Dragons, cyborgs, evil overlords, and a whole lot of bad judgment are sure to get in their way. But to become truly human and win her heart’s desire, Mink’ll take on any obstacle, no matter how over-the-top things get.